Let's begin this review by clearing up a key misconception that one might get from the box art and even the screenshots. Devil Castle isn't a Ghosts and Goblins knockoff or a Castlevania clone (although the protagonist does brandish a chain like whip). Graphically, with its short stumpy figures and rolling Indiana Jones-esque boulders, it appears to be drawing its chief inspiration from the old Amiga game Rick Dangerous. ​In terms of Gameplay, however, Devil Castle is very much it's own thing. Unfortunately that thing isn't necessarily particularly fun or interesting. Of course, when Henry enters the castle he finds it anything but abandoned, but instead full of ghouls, skeletons, bats and, rather oddly, street vendors. Each of the five stages is a rather small scrolling map that extends around four screens in height by about ten in length. Your objective in each stage is twofold and, unfortunately, not particularly fun. 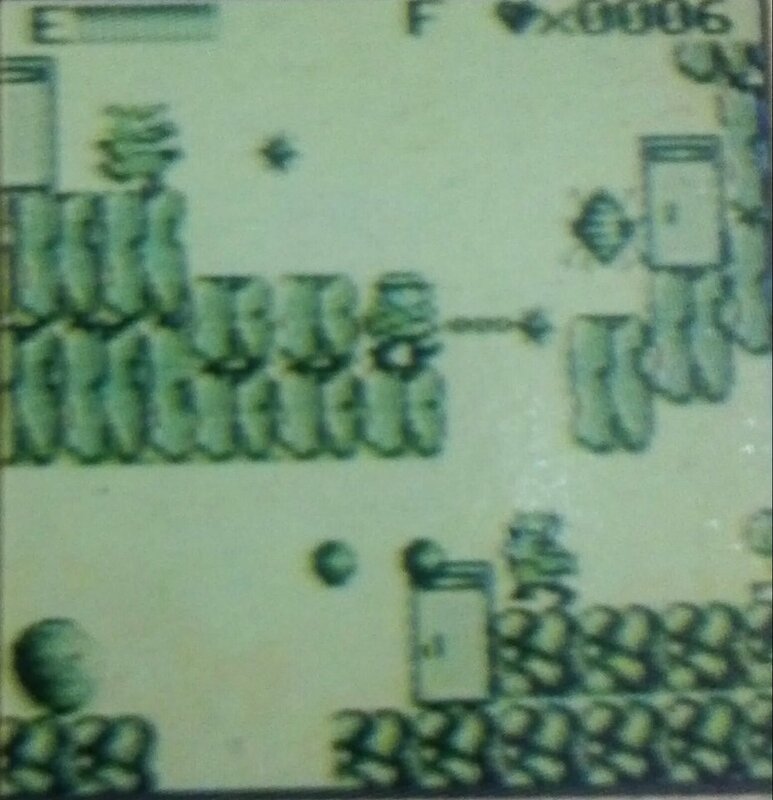 Each stage contains an exit and a key to that exit, however this key is always hidden in a secret cave, itself hidden behind a random piece of scenery that can only be uncovered by whipping or shooting it. This turns the level into something of a scavenger hunt as, until you learn the placement of these secret caves, you are left with no option but to wander the stage, whipping every inch of the background in the hope you will uncover it. Think of the frustration of bombing everything in the first Legend of Zelda's second quest, thankfully this time on a much smaller map. The frustration is tripled as there are three such hidden caves on each stage (the other two containing health power-ups). Rather than nab some screenshots from an emulator, here are the actual screenshots that Bit Corp went with on the game's box. By now you've probably noticed the series of doors visible in every screenshot. These play another important part in the gameplay. Behind each door lurks one of the aforementioned 'street vendors'. Each street vendor will have a different weapon to sell you from a price ranging from 50 to 250 hearts. How do you accrue hearts, you ask? By killing enemies of course! Unfortunately, each enemy drops a pitifully low number of hearts (the maximum is ten) which means you'll have to loop the stage several times over killing the same re-spawning enemies to stand a chance of purchasing them. This is the same annoying gameplay mechanic we disliked so much in our review of Duck Man, unfortunately it becomes essential as, without a powered up weapon, you stand no chance of defeating the boss dragon that's waiting for you behind each level's final door. Although....by a peculiar turn of events (read: mashing buttons in frustration) we discovered something VERY odd about Devil Castle. If you push the select button on the Gamate at any time when facing an end of level boss you'll be instantly warped to the next level! This is either a testing feature that wasn't disabled, a secret acknowledgement by the programmers that the end of level bosses are ridiculously hard or the worst cheat code ever designed! it only seems to work in the Boss chamber but it actually has the strange effect of making the game a better experience because without having to grind for hearts you can just focus on exploring the stages and finding the key. So is that any fun? Well, not really. The Gamate does its best, but it's low quality screen isn't really up to the task of animating so many enemies and motion blurring is common. 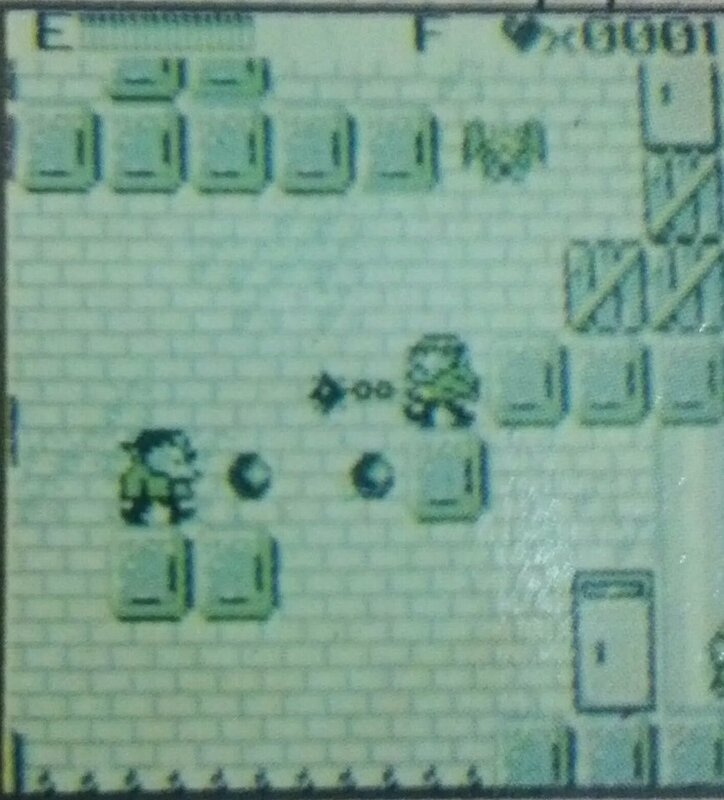 Meanwhile, your character, Henry, moves about okay but jumping sees him miss so many animation frames as to almost appear to teleport. Enemies are also annoyingly coded to run towards you rather than following patterns, meaning once they have jammed themselves against the side of a pit there is no way to actually kill them without moving down onto them and taking a hit yourself. Thankfully Henry has a fairly big energy bar but the limited swing of his default weapon is annoyingly useless in most situations. The upgrades (crosses, boomerangs, holy water and daggers), aside from being expensive don't really offer an improvement on this. The Gamate does at least pump out a decently ghoulish theme tune for the game (again better appreciated in stereo courtesy of headphones), unfortunately it loops faster than the average GameKing track and quickly becomes repetitive. Depending on whether or not you choose to use the bizarre 'select' trick or not you have two possible experiences with Devil Castle; a long and frustrating grind or a short and still rather dull bit of platform exploration. Neither one is really very satisfying and you can't help but feel that Bit Corp might well have been better off just ripping off Castlevania after all.